GREENVILLE, SC – December 14, 2016 – The Greenville Area Development Corporation (GADC), the County-chartered organization tasked with advancing the area’s economic growth, announced today that PL Developments, a manufacturer, packager and distributor of consumer healthcare products, is launching new Greenville County operations to expand its presence in South Carolina. The new development is projected to bring $45 million in new capital investment and lead to the creation of 450 jobs. Founded in 1988 and headquartered in Westbury, N.Y., PL Developments is a leading manufacturer, packager and distributor of pharmaceutical and consumer healthcare products. Primarily serving U.S. retailers with an assortment of more than 450 unique products across several healthcare applications, the company’s nationwide facility footprint exceeds one million square feet. Located at 513 Old Griffin Road in Piedmont, S.C., the company’s new Greenville County facility will include enhanced logistics capabilities along with new pharmaceutical manufacturing and packaging capabilities for the company. Logistics operations at the Old Griffin Road site will commence in early 2017 with new manufacturing capabilities expected to begin in early 2018. Once commissioned, the Old Griffin Road location will be PL Developments’ second operation in South Carolina and sixth in the country. 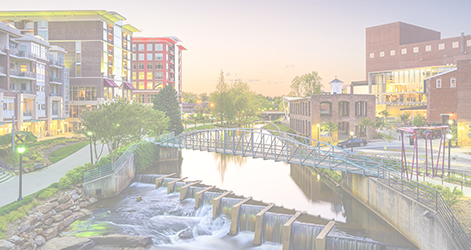 “Greenville County offers the ideal requirements for PL Development: a skilled workforce, attractive for recruiting talented people and a collaborative effort to meet the needs of the company. We thank PL Development for choosing Greenville County, and welcome them to their new home in Piedmont. We are positive the company will be very successful here.” -Greenville County Council Vice Chairman H.G. (Butch) Kirven Jr.